If you have been injured on the job, you can typically seek compensation by filing a workers’ compensation claim, but what if you have an illness or injury that makes it impossible for you to work, but that didn’t result from your employment? That’s where the programs administered by the Social Security Administration can help, Social Security Disability benefits. To be eligible for Social Security disability benefits, there is no requirement that you suffer an injury or illness at work. Instead, if you have a medical disability (injury or illness) that keeps you from working, you may be able to receive benefits. However, you must have worked at least five of the ten years prior to your application for benefits, and you must have worked at a job where you paid Social Security (FICA) taxes. In addition, you must be able to show that your injury or illness has or will prevent you from working for at least 12 months, or will result in your death. If you meet both of these criteria, the amount you receive will be based on your contributions to the Social Security system over the last 10 years. The more you paid in, generally, the higher the benefit you will receive. For purposes of filing a Social Security disability claim, you must show that you have a physical or mental condition that keeps you from participating in any “gainful activity” for at least a year, or that will cause your death. The Social Security Administration won’t simply rely on a report from your personal physician. You can expect to be examined by doctors or medical experts hired by the SSA. Those doctors will advise the SSA as to whether they believe you have any “residual functional capacity,” i.e., the ability to engage in any type of gainful employment. At Pyrros & Serres LLP, our attorneys aggressively represent injured people across the borough of Queens and throughout the greater New York City area. Along with our highly capable support staff, we have a well-earned reputation for obtaining positive results for our clients. 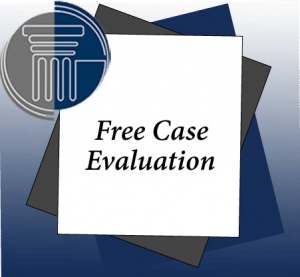 As a result, many of our new cases come to us as referrals from clients or other attorneys.